Each May, over 400,000+ Rolling Thunder riders descend on the National Capital Region and gather at the Pentagon. From here they ride into DC in a patriotic display in order to honor our veterans, and also to remember those lost or missing soldiers from our nation&apos;s conflicts. These heroes from across North America that ride into town for this annual event represent all types of their fellow soldiers, sailors, airmen, marines, coast guardsmen, firefighters, rescue personnel and law enforcement officers and make the event especially memorable for riders and spectators. This is something uniquely American...this is Rolling Thunder. 2019 might be the last chance to be a part of this historic event - see why in this article from the Military Times. The 21st Annual Ride of the Patriots® to Rolling Thunder® XXXII will take place on Sunday, May 26, 2019, during Memorial Day Weekend. Patriot Harley-Davidson® and the Fairfax VA Chapter, Harley Owners Group welcome you to join us for this signature event. We are very pleased that the Ride of the Patriots has become a highly anticipated community event and our hopes are that all bikers and bikes will feel welcome and join us for this police escorted ride to the Pentagon to participate in Rolling Thunder&apos;s Ride for Freedom. The Ride of the Patriots is an exciting four-day event spanning the entire Memorial Day weekend. All activities for the weekend are at or begin at Patriot Harley-Davidson, located just West of Fairfax Circle on Fairfax Boulevard (Map). The Patriot Harley-Davidson parking lot is designated for bikes only from Friday morning until after the departure of the Ride on Sunday Morning. The event also provides an organized staging area and safe trip for riders to the Pentagon and Rolling Thunder. Visiting Patriot H-D on Friday, May 24th, (store open from 10 am to 7 pm) has become a tradition amongst out-of-towners looking to reunite with old friends and family. So this year at Patriot, Friday will have live music and selected vendors, such as Letterfly Pin Striping, Virginia Rigging (patch sewing), Motorcycle Riding Concepts, and H-D Jumpstart. Food vendors on site include: 29 Diner BBQ and others to be announced. Live music all day. 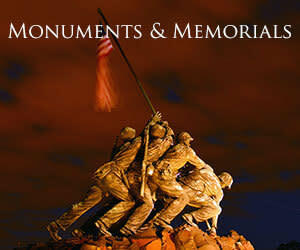 Then at 5:30 pm, the Chapter rides to the Candlelight Vigil at the Vietnam Veterans Memorial in Washington, DC. Riders meet at Fairfax High School between 4:30pm and 5:30pm (Map) for Candlelight Vigil Ride. The most visible event is on Sunday at Patriot H-D when we honor our heroes in a community parade, ceremonies and ride to Rolling Thunder - Ride of the Patriots. Staging/Line-up begins at 6:30 am. Parade begins from Captain Pell&apos;s Parking Lot at 7:30 am. Ride of the Patriots Ceremony begins at 8:05 am. Launch ride of the Patriots begins at 9:00 am. Arrive at Pentagon parking lot at 10:00 am. Rolling Thunder, Washington, DC at noon. Annual Falls Church City Memorial Day Parade and Festivities. Depart Patriot Harley-Davidson at noon. Line up at 1:00 pm. Parade starts at 2:00 pm.